Today’s guest post introduce you to Creekview Carol and his family. Please find their post below. Hi,my name is Carol. I live with a very “interesting” bunch. A few months ago I started a blog to share my many observations. And now that it’s going well, some of my siblings want to use MY blog as their platform to get attention. Very irritating. But, anyway…. As a blogger, I enjoy reading other cats’ (and, don’t tell anyone, dogs’ AND humans’) blogs. After the New Year I noticed lots of bloggers talking about eating better and getting in shape. Now, I have no control over what I eat. If I did, I’d at least get wet food every day like the furry beasts in my house. But I can control how much activity I get. And looking around at my brothers and sisters, I think we ALL could use a little more activity. Sure, our moms walk the furry beasts every day. But otherwise they just lie around and chew on bones or sleep. In fact, the furry beast, Sherman, was begrudgingly entered in a Biggest Loser Challenge at the veterinarian’s suggestion. My brother, Steve, is always talking about wanting tighter abs. And the two old ladies, Violet and Ethel, well, all they do is lie around. So that got me to thinking: Catsercize. Yes, we needed to start an exercise regimen. I talked to the smallest furry beast, Eggnog, who’s become a little round in the middle. She was all for the idea! Said her sweaters and jackets have gotten a little tight and she could afford to lose a few ounces. Great! Eggnog said she’d help me get the others on board. When we told Sherman (aka The General) our plan, he looked up from his chewy (which he’s not supposed to have because of his diet) for a second, then went right back to chewing. Didn’t even give us a grunt of acknowledgment. Jerk. The other furry beast, Walter (the nervous one of the bunch), was worried he would lose too much weight and die. Moms told us that Walter’s the reason the furry beasts get wet food every day. They’re trying to fatten him up. All his nervous energy makes him skin and bones, they say. I say a little exercise might make him leaner and increase his appetite, but he won’t listen. He’s too afraid of dying. My brother Steve – who is ALWAYS obsessing about his abs – said Catsercize sounded lame and he works out “for real.” Whatever. One of the old ladies, Violet, told us she has very bad arthritis and just walking can be a chore some days. Finally someone with a legitimate excuse. But Ethel, who harbors ambitions of a singing career and whose saggy gut was featured on Katzenworld’s Tummy Rub Tuesday TWICE (wouldn’t that be motivation enough? ), said she’s trying to focus on her vocals and needs to spend every spare minute rehearsing. We’re all painfully aware of that. That just left Eggnog and me. Problem is, now Eggnog has an issue with it being called “Catsercize.” She says it’s too feline-centric. She wants a form of fitness that’s all inclusive. But this is the only kind of exercise I know. I’m a cat. So it looks like my idea’s a bust. It’s too bad. We’d even made outfits to wear. Now don’t forget to visit them over at creekviewcarol! 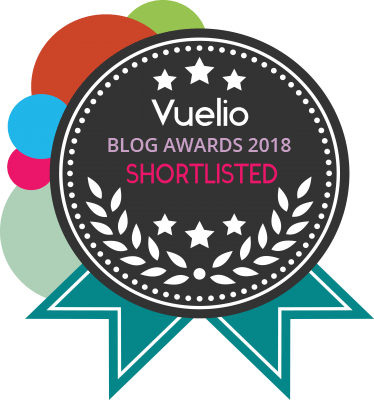 We hope you are looking forward to many more fun stories here and don’t forget you can also follow us on Bloglovin now by clicking here or sign up to our email Newsletter here. This entry was posted in Guest Cats and tagged blind, cat, cats, creekview carol, cute, katze, katzen, kawaii, Quirky, TeeNee, ねこ, ﾈｺ, 猫. What a lovely gang <3 We cats are not lazy dogs on the other paw are lazy. If owners would not walk a dog they would sleep 28h a day. Cats are not lazy. We hunt, we play, we do road race in the middle of the night. The bit of fat you see is for next winter, we are always prepared if our staff forget to buy food so we don't starve to death. Thank you, Billy! It’s good to see you here! I know what you mean about always being prepared in the event that our humans may accidentally starve us. Just seeing the bottom of my food bowl sends a shiver up my spine! Anyway, I’m glad you like our exercise outfits! It’s too bad we didn’t get to wear them to exercise. But then I see humans wearing yoga pants and not actually doing yoga. I hope you have a great day! And be safe with all of your time travels!! The bottom of the food bowl is a problem. I think we should fire our staff if they ever risk that. Yes, human were sportswear all the time and don’t do any sports, humans are lazy. Thank you! I got the idea for the sweatbands from looking through my moms’ old collection of Jane Fonda workout videos. And you must be squinting VERY hard if you see a six-pack on Steve!!! I’m getting really old and blind I think. I don’t see any six-pack on Steve. Mom, get me an appointment with the eye doctor my eyes are broke! Love Creekview Carol – seriously the most fun blog I’ve discovered. Carol and her family are so entertaining and I’d encourage everyone to check them out! Love the workout gear Carol! As always – amazing! Thank you for your kind words!! They keep me going when the responsibility of accurately recording and reporting my observations becomes overwhelming. Love the concept of Catsercize – and the sweatbands. You might want to mention to ‘The General’ that IF he exercises and keeps his weight down, he will probably get more chewies 😉 On the other paw, IF his weight creeps back up, it is likely that they will all be confiscated, again. Also, I have arthritis and the doctors tell me the best thing to do is keep moving, so I don’t exactly see validity in Violet’s reasoning, tut see a real need to Catsercize her tummy. Thank you! You make excellent points as to Sherman’s diet. I will definitely share them with him. I don’t think he’s lost an ounce! And that’s good to know about arthritis. Maybe I can get Violet on board with Catsercize after all. I hate to see this workout gear go to waste! What an amazing GANG! They are fabulous! We send ALL our very best wishes always to Creekview Carol and the entire GANG of critters. Amazing! I like that… good thinking!! Thanks! Carol is male? Hmm! Reminds me of the name Evelyn, which in the USA is resoundingly female. 🙂 Very interesting. HA! 🙂 So I tripped over a pronoun! Thanks for the clean-up! Thank you!! Stretching is very good for you. I don’t know about you, but I especially like to stretch after a good nap! In case you missed it, I was Saturday’s Guest Blogger on Katzenworld! Thank you to Nubia, Oliver, Angel, Marc, and everyone at Katzenworld for this monumental opportunity. With such big paws to fill, I hope I measured up. Too cute, love the photos. We’re fans of Creekview Carol and the interesting family dynamic the crew has….never a dull moment for sure…..and we have been known to giggle our way through more than a FEW of their posts!!! I’m thinking the catsercize outfits are something I should get my Mom to look into for me…..I have a bit of gut flab myself but then I’m 15 so I deserve some flab – right? Hi guys, well that was very amusing izz has to say! Must see if we can implement some of your routine here in our household. Hmmm looking down at my doggie sisfur…. Dont think we are going to have much luck there with any exercise routine… She is nearly 15 though. Well loved learning about you guys, izz going to go over and check out your blog Carol! Great to meet you! Sorry for the delayed reply, Gussy! Everyone defines exercise differently. My brother Steve is obsessed with having the perfect abs and so does lots of tumbling, but for my older sister Violet just getting to the water bowl and litterbox is a real workout! So nice to meet you! Loved this! If anyone comes up with how to make Elsa exercise please pass along. She prefers to sit (mostly sleep) on my bed all day. It’s really quite sad when she walks down the hall as her tummy swings from side-to-side with each step. However, you know the old saying, she says she’s “fluffy not flabby” and I should go mind my own business. Well, actually, she said something FAR worse, but I can’t type it here. When my daughters were younger they used to put one of our cats on our treadmill. haha Actually, it was the Queen, Smokey, but she was a mere princess then, so put up with it.